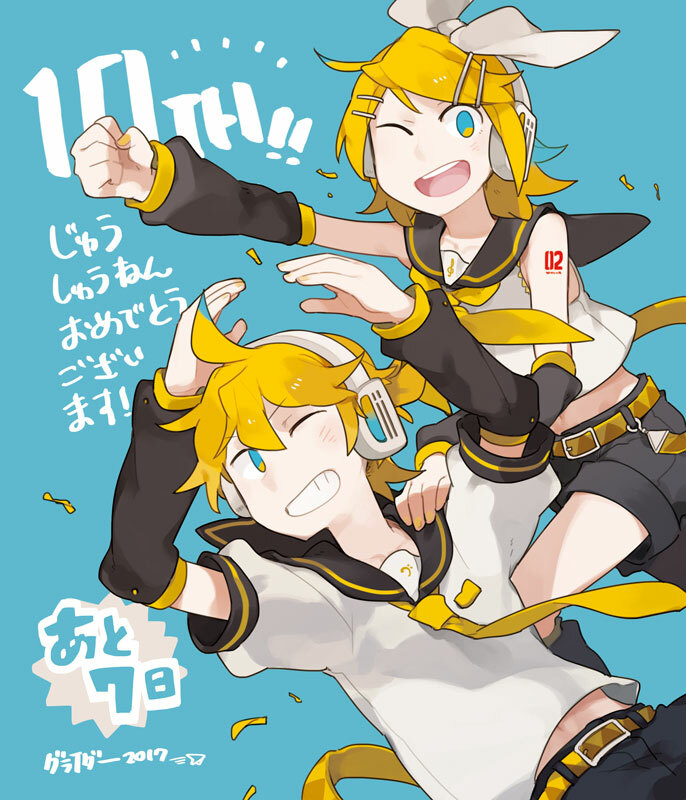 Home / News / Events / Kagamine 10th Anniversary Celebration Updates! 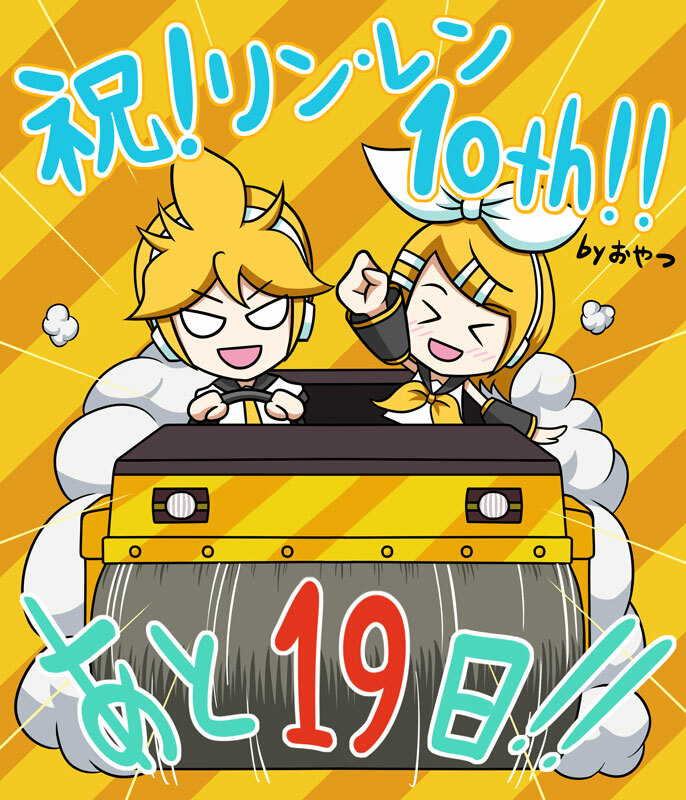 Kagamine 10th Anniversary Celebration Updates! 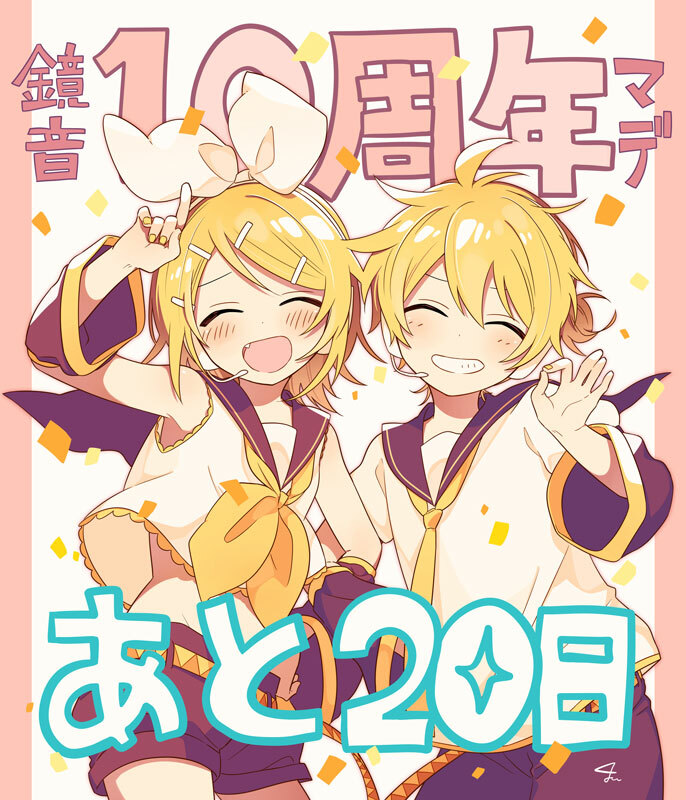 In our first article about the 10th anniversary website for Kagamine Len and Kagamine Rin, we mentioned that there would be a lot of updates to report on between the site’s opening and the actual day of their anniversary – December 27th – and we weren’t kidding! Read on for all of the news surrounding the almost one-decade-old VOCALOID pair! 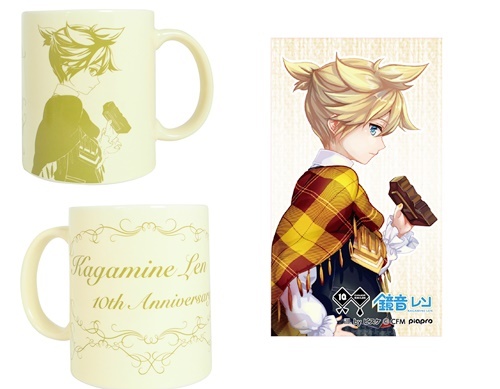 Kagamine 10th Anniversary Shop at Ikebukuro Station! 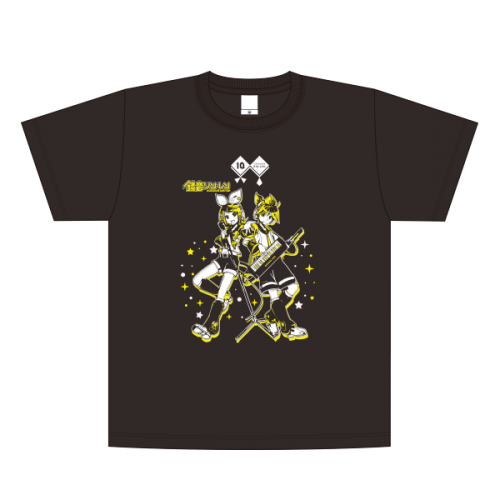 From December 24th through 27th, a special Kagamine 10th Anniversary Shop will be open for business at the Ikebukuro JR Station in Tokyo! 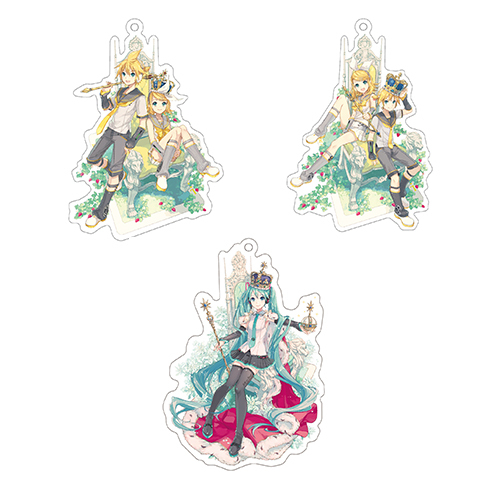 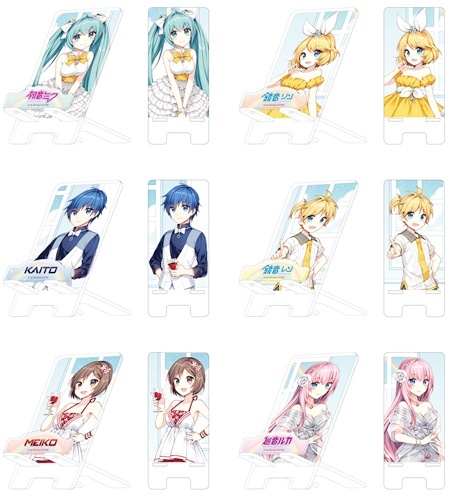 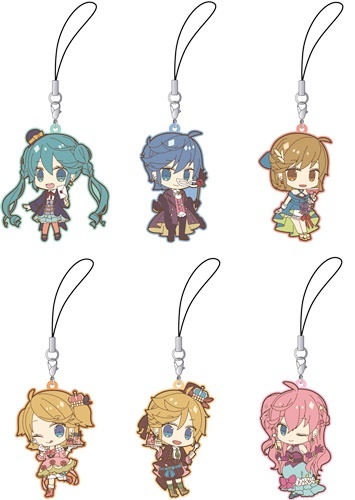 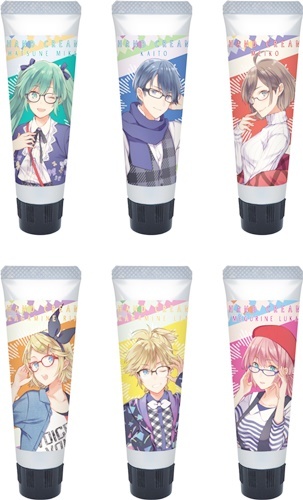 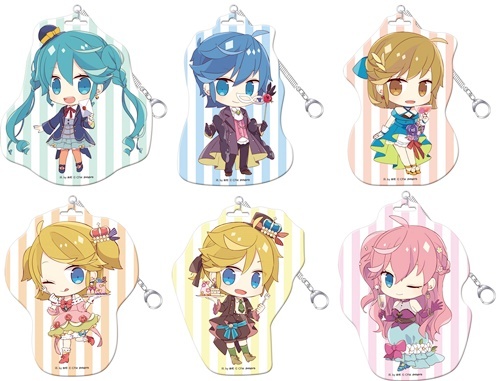 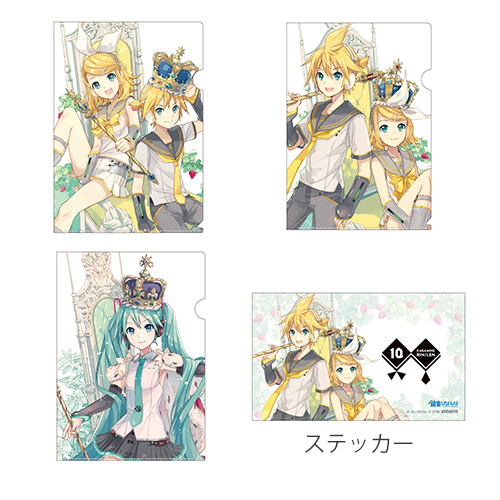 The shop will be selling exclusive merchandise for not just Rin and Len, but also for Hatsune Miku using illustrations that were provided by iXima. 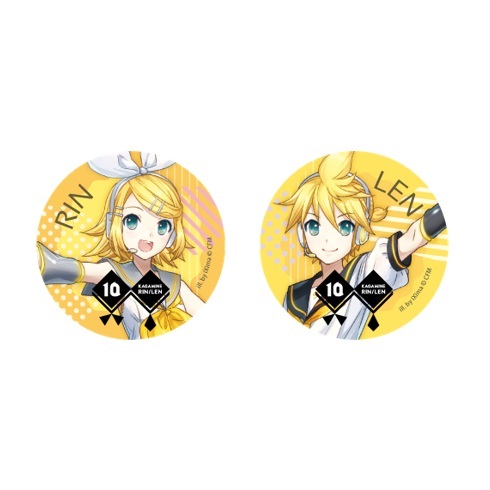 Customers who purchase at least ￥3,000 JPY (about $27 USD) (excluding tax) worth of goods will even receive a Kagamine Rin & Len mini handkerchief while supplies last! 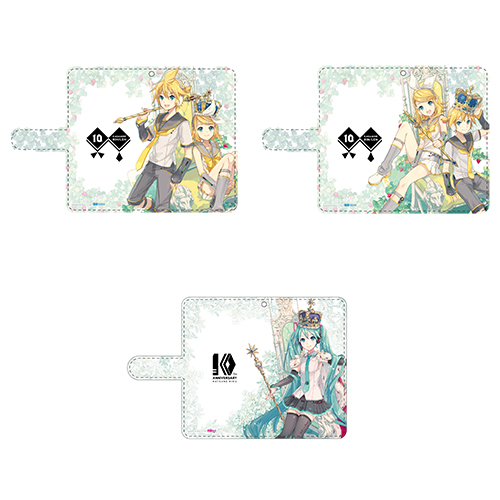 You are only allowed to buy up to 3 pieces of the same item per purchase. 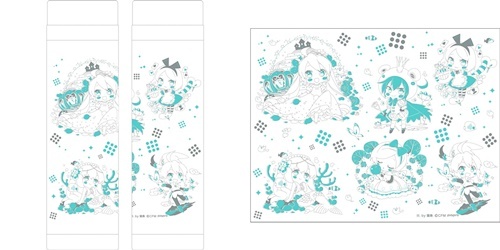 You can only receive one special handkerchief per purchase. 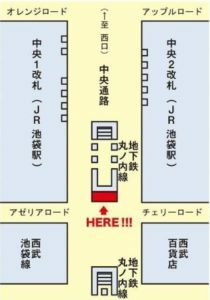 Everything is available on a while-supplies-last basis, and store hours are subject to change. 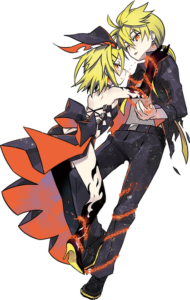 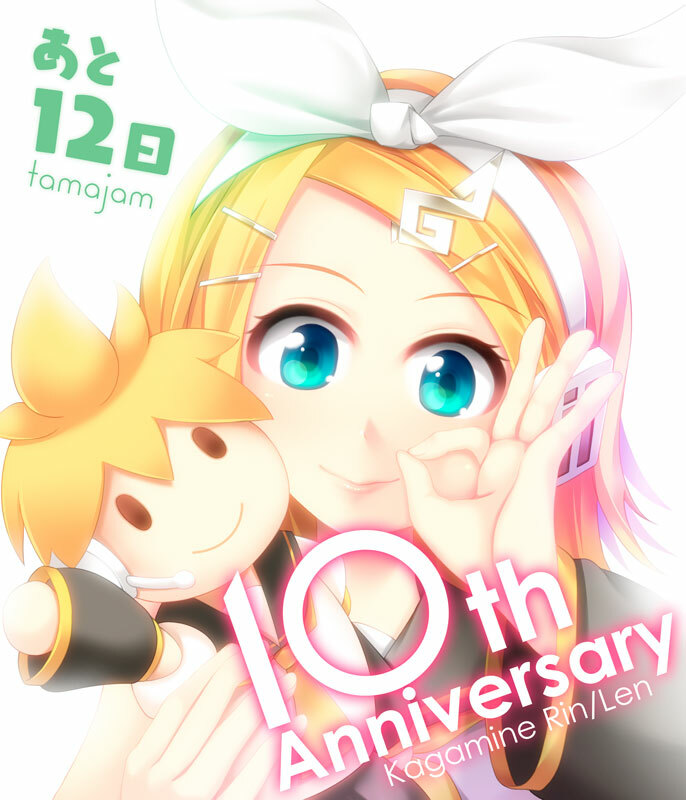 Kagamine Rin & Len 10th Anniversary -LODESTAR- Crossfade Now Online! 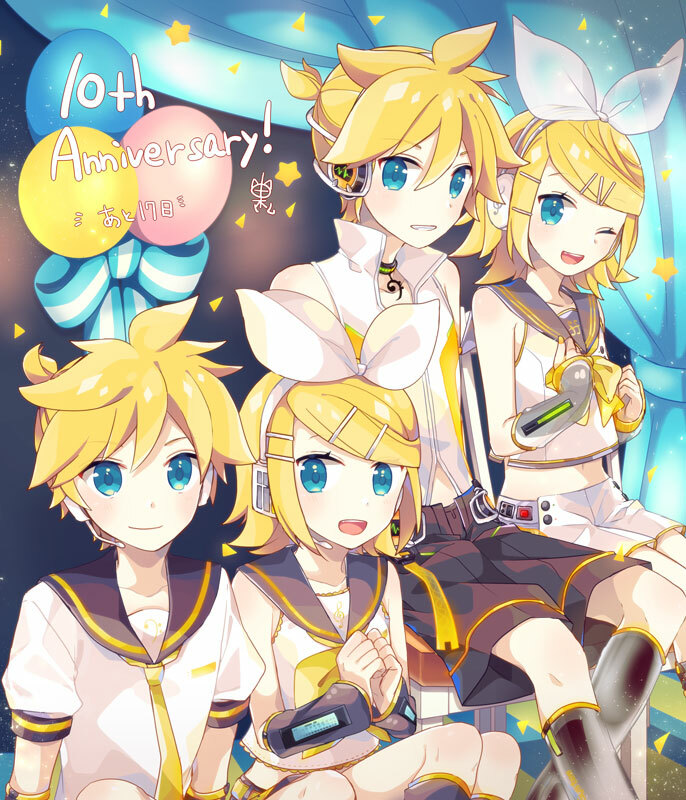 KarenT has uploaded the crossfade trailer for the album Kagamine Rin & Len 10th Anniversary -LODESTAR- on YouTube and Niconico! 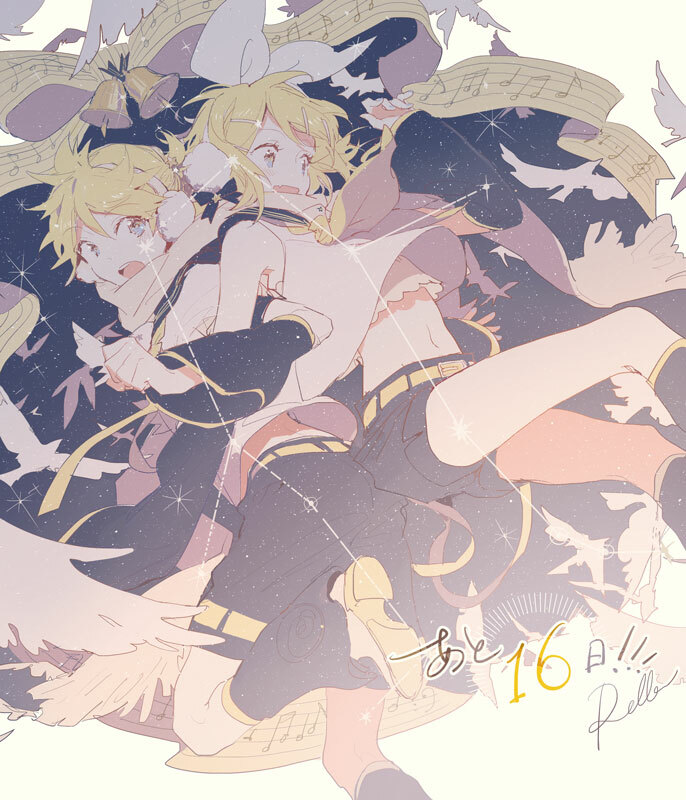 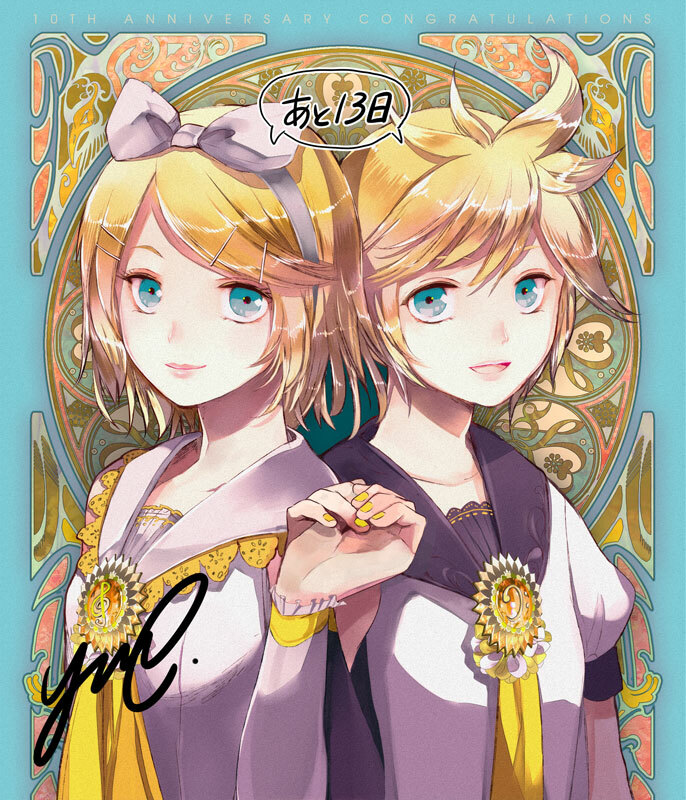 This special two-disc album complies over 20 of the Kagamine pair’s best hits from the past tens years, and is a must-own for any serious Kagamine fan! 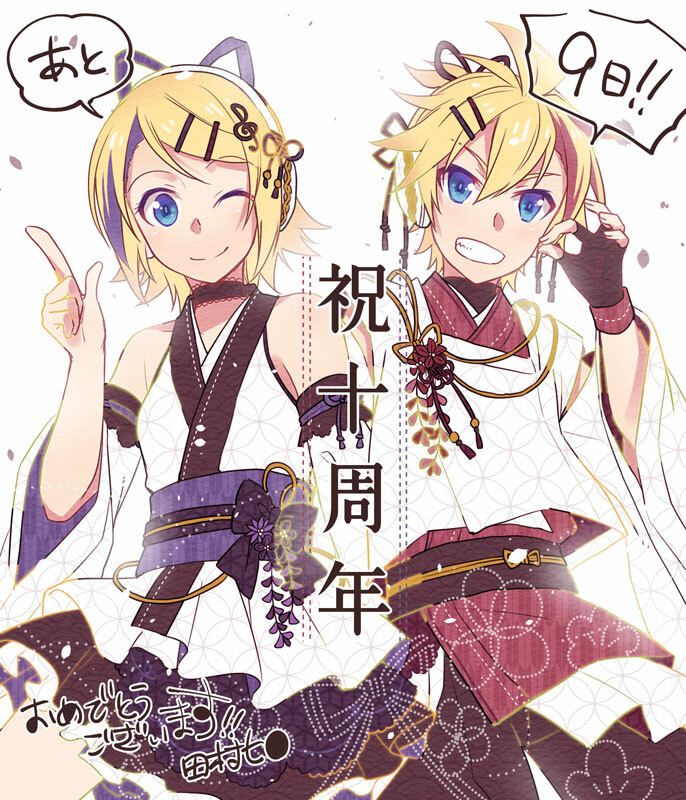 See our previous article for details on this and the EXIT TUNES PRESENTS Kagaminext albums. 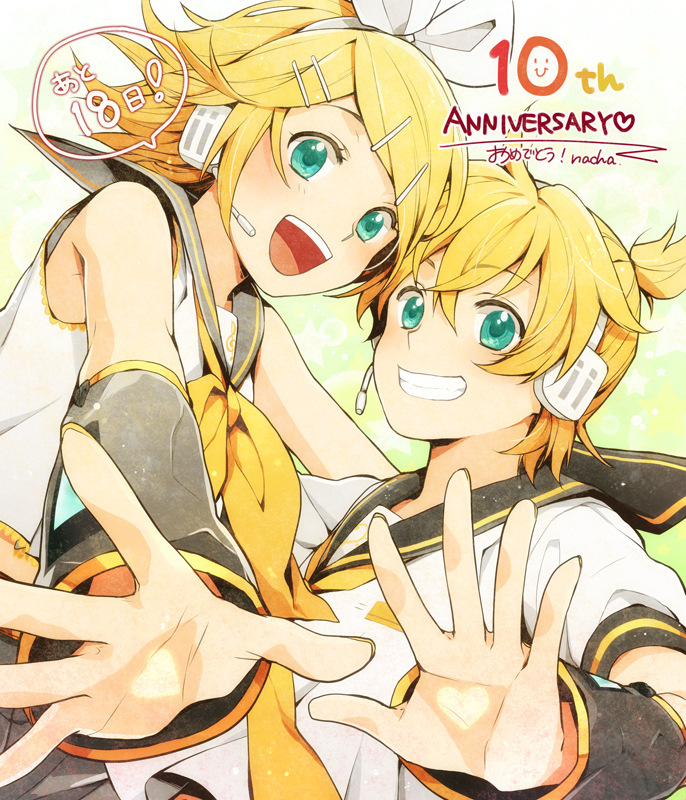 Kagamine Rin & Len 10th and Megurine Luka 9th Anniversary Fair ~Happiness idyll~ at Animate! 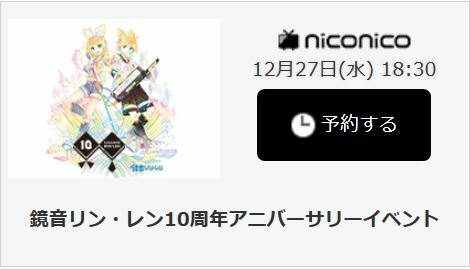 Details on the ~Happiness idyll~ event – celebrating not only Rin and Len’s 10th anniversary, but also Megurine Luka‘s 9th anniversary – at Animate and ACOS have come to light! 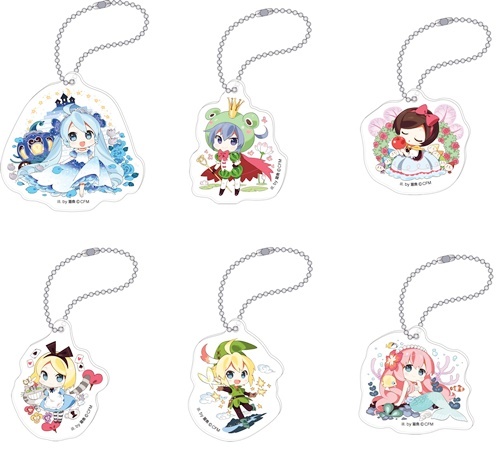 Merchandise based on the illustrations provided by BUZZ, Nardack, ピスケ (Pisuke), 猫魚 (Nekosakana), 由杞 (Yoshiki), and MACCO will be on sale at said stores starting from December 21, 2017 through January 31, 2018. 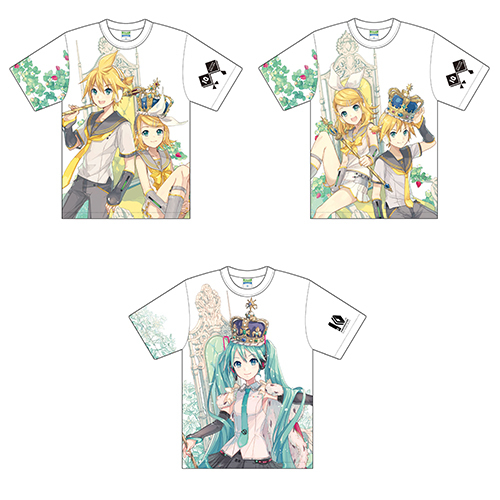 The merchandise is also available for pre-order online through MOVIC. 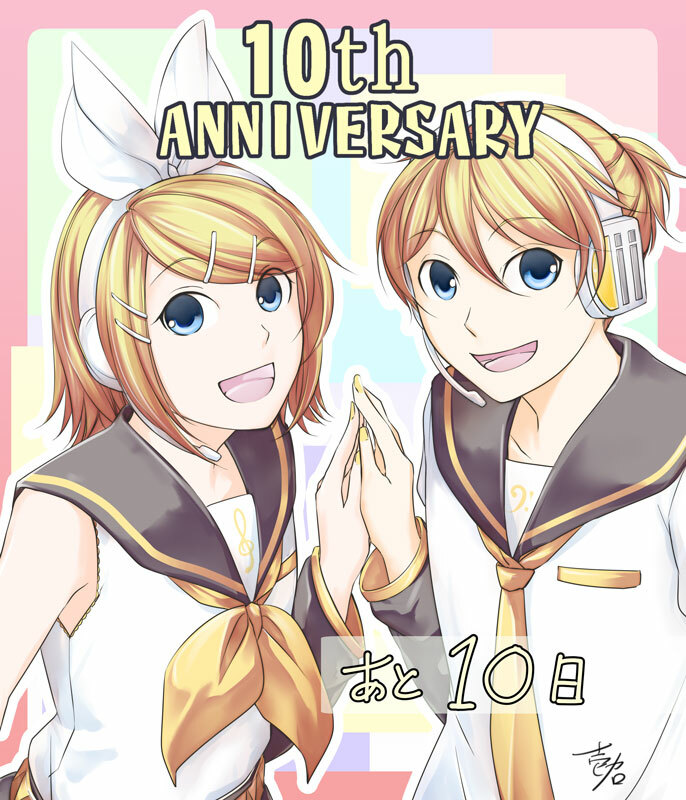 Kagamine Rin & Len 10th Anniversary Album Sale on KarenT! 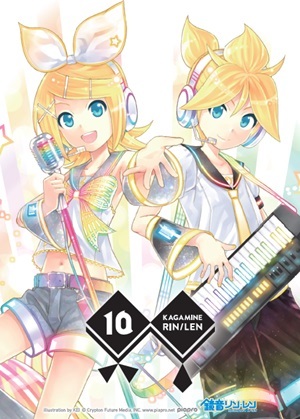 As they often do for a Crypton Future Media VOCALOID anniversary, KarenT is holding a special sale for no less than 20 albums featuring songs sung by Rin and Len! 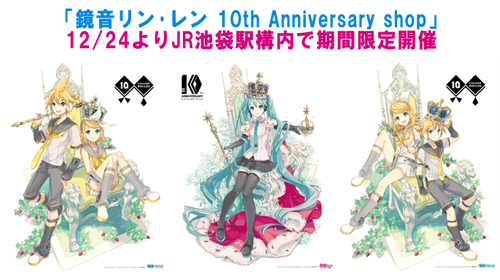 They also continue to use the 10th anniversary illustration provided by U35 to promote the sale, same as they did for MEIKO’s 13th anniversary. 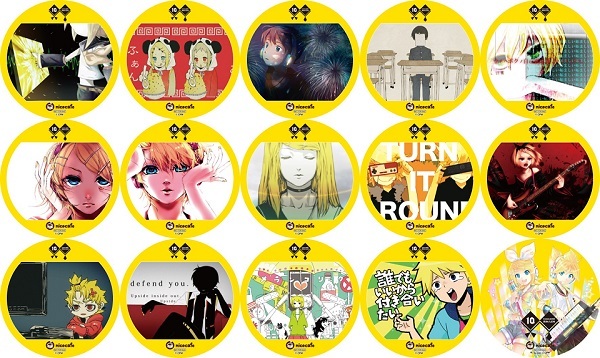 Here are the albums and singles that will soon be available for purchase on iTunes through this special sale! Visit KarenT’s official site for more information on each, and for links to their iTunes store sites where you can purchase them. 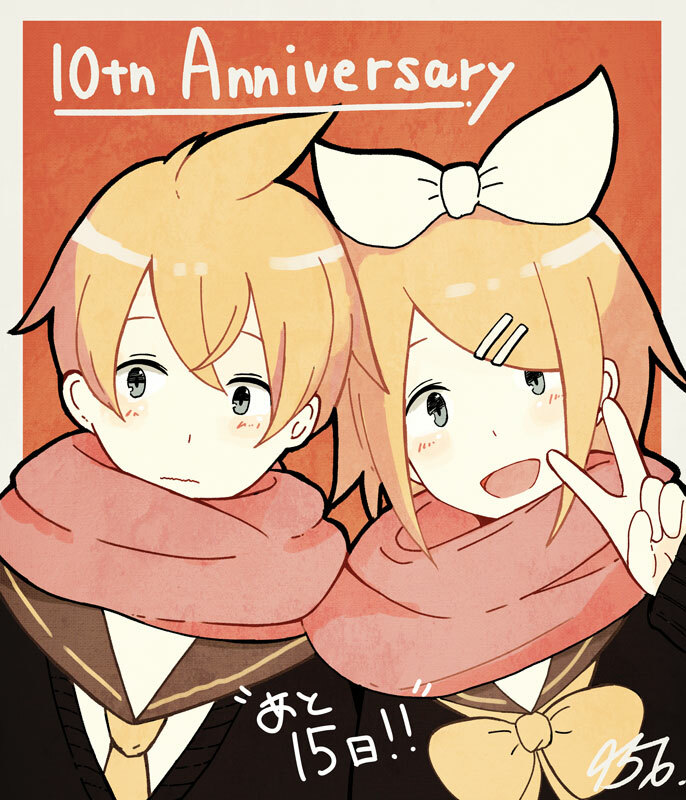 Kagamine 10th Anniversary Event at Nicocafé! 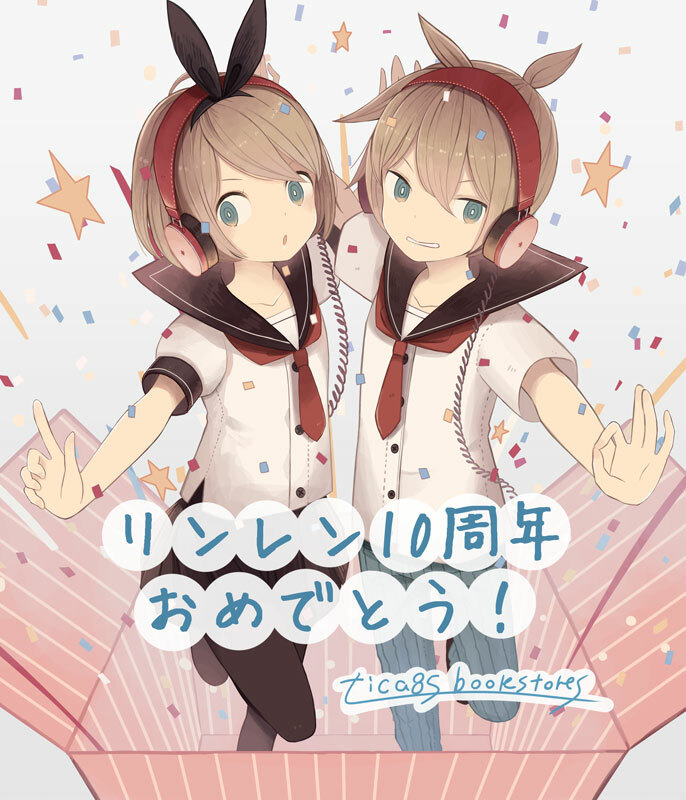 We recently introduced the special Kagamine 10th anniversary Nicocafé at Niconico Honsha, and now there is more information on the food and drink menus, and on the merchandise for sale at the event on December 27th! 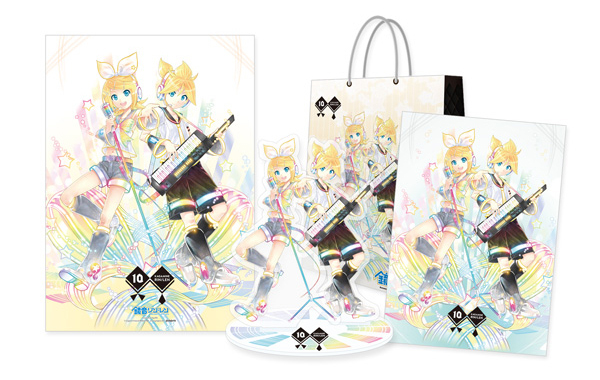 See what those attending will be able to bring home with them on the big day! 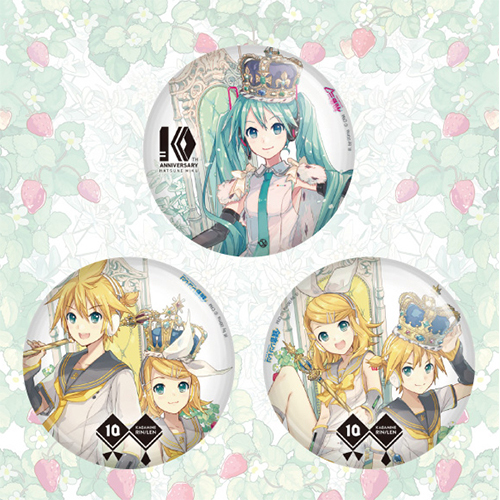 It has also been announced that they will be selling the KarenT Presents Kagamine Rin & Len 10th Anniversary -LODESTAR- album, the Hatsune Miku 2018 Piapro calendar, and some Rin & Len merchandise from Snow Miku Skytown after the event concludes. 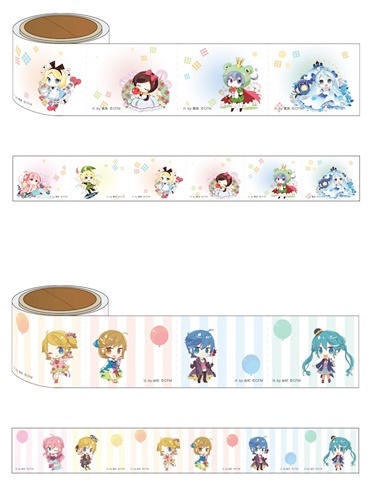 Those who spend at least ￥7,000 JPY (about $62 USD) at the event will even receive a free A6 size sticker! 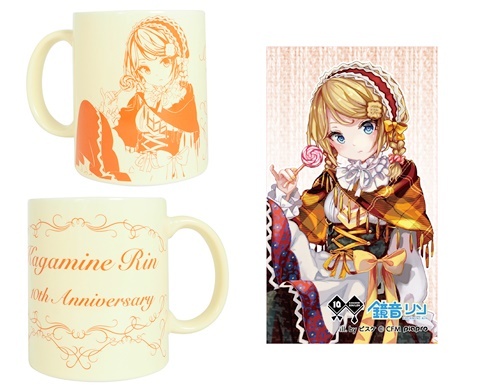 Of course, what’s a café without the refreshments? 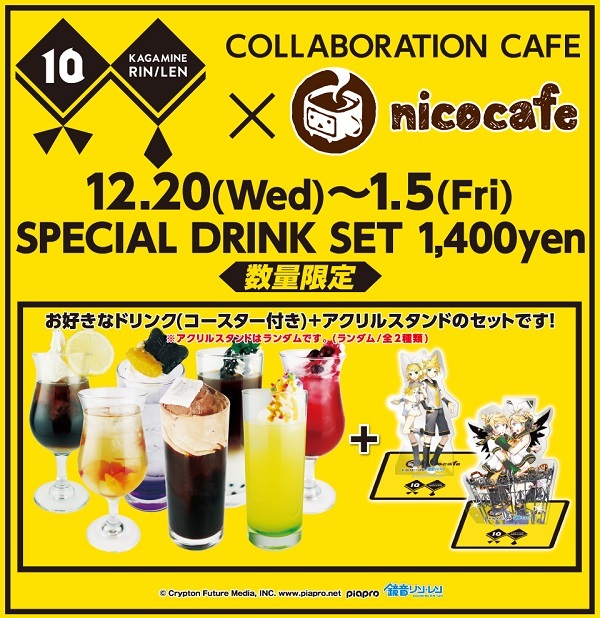 The Kagamine 10th Anniversary Nicocafé is serving up plenty of Kagamine song-themed food and drinks, satisfying the stomachs as well as the ears of Kagamine fans in attendance! 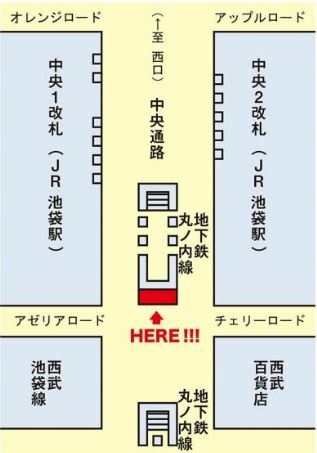 Those who cannot make it to the event in person can still watch the special anniversary event (featuring talks with Asami Shimoda, performances by emon(Tes. 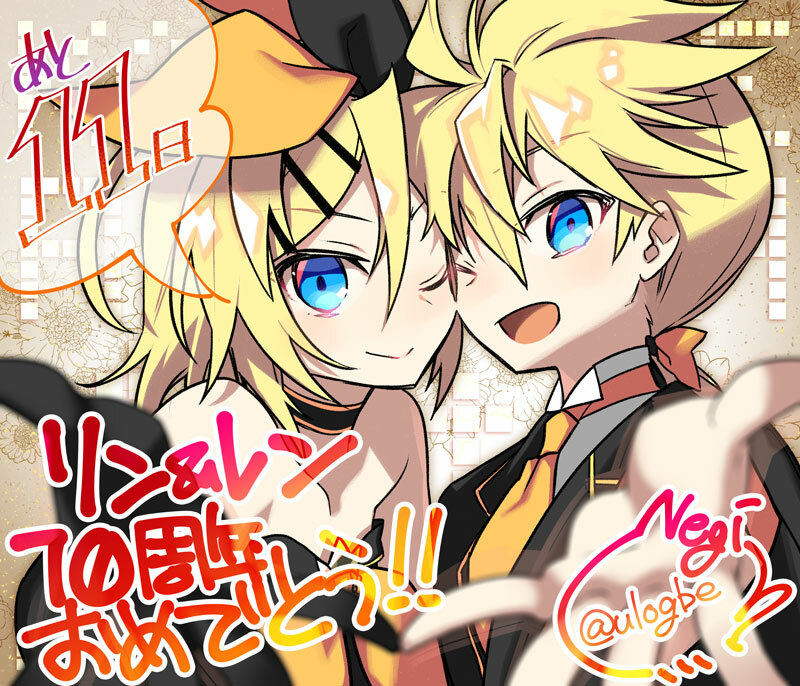 ), and more) online on Niconico Live starting at 6:30 pm (JST). 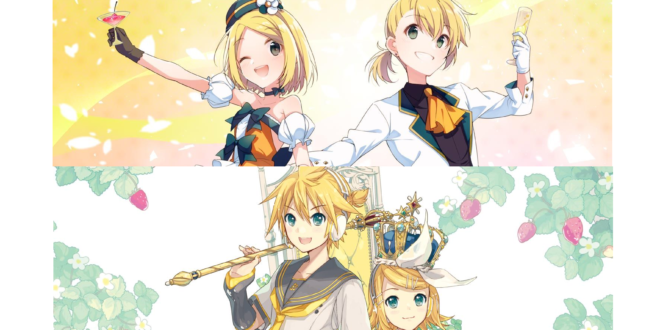 “Kagamine Rin & Len TRPG: COCORO SESSION” Announced! 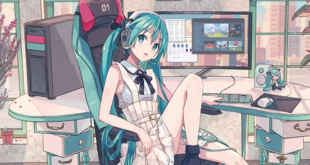 We’ve opened the site for ‘Hatsune Miku TRPG: COCORO SESSION feat. 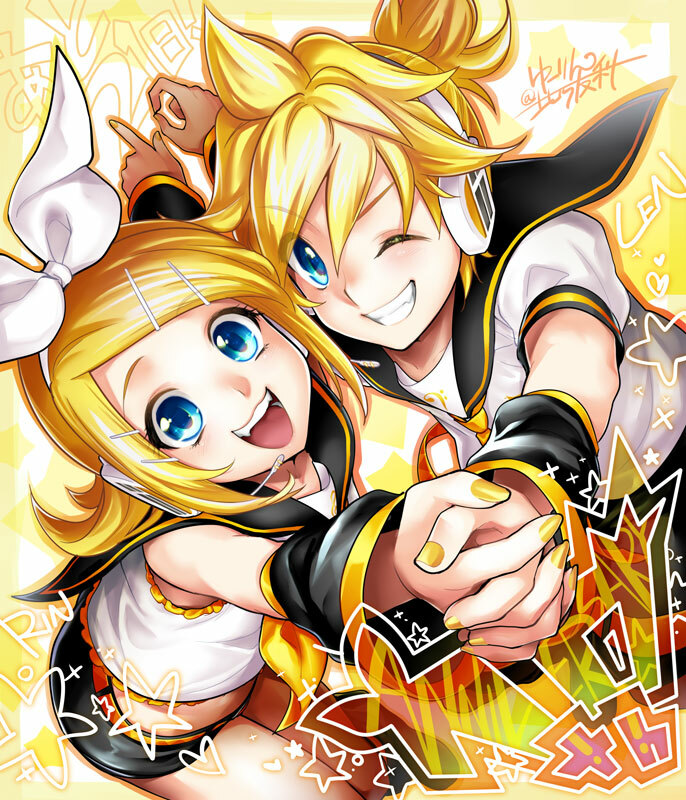 Kagamine Rin & Len! 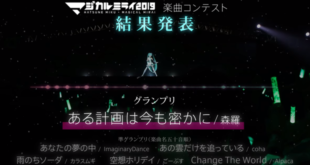 This new edition also boasts 80 news songs, such as Karakuri Pierrot, Jabberwocky Jabberwocka, RIP=RELEASE, and many more that lend power to your characters. 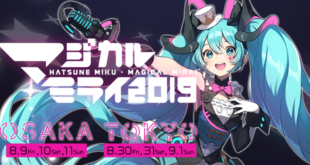 5 songs in particular – Kami Hikouki, Servant of Evil, Alien Alien, Senbonzakura, and Last Battle – serve as the motif for 5 new Cocoro Dungeons that await you! 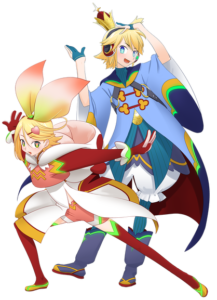 When creating your characters, you have the choice of four “cores” personalities, each of which has its own Otodama to control, and it’s own illustration. 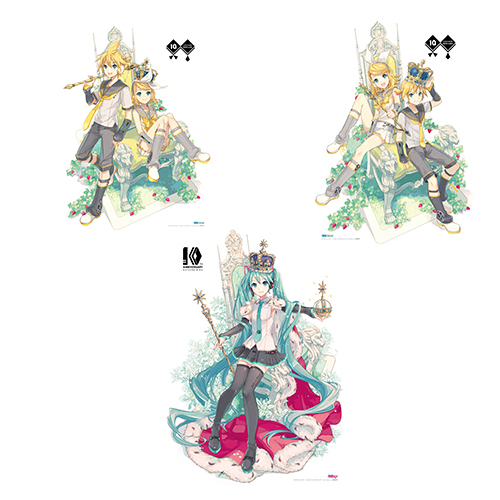 From left-to-right, top-to-bottom, these “cores” are Dark, Love, Eccentric, and Melancholic. 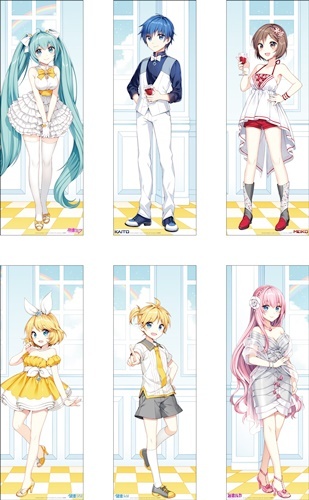 They were illustrated by NEGI (who also illustrated the new comics), 猫魚 (Nekosakana), ヒライユキオ (Yukio Hirai), and 美和野らぐ (Ragu Miwano). 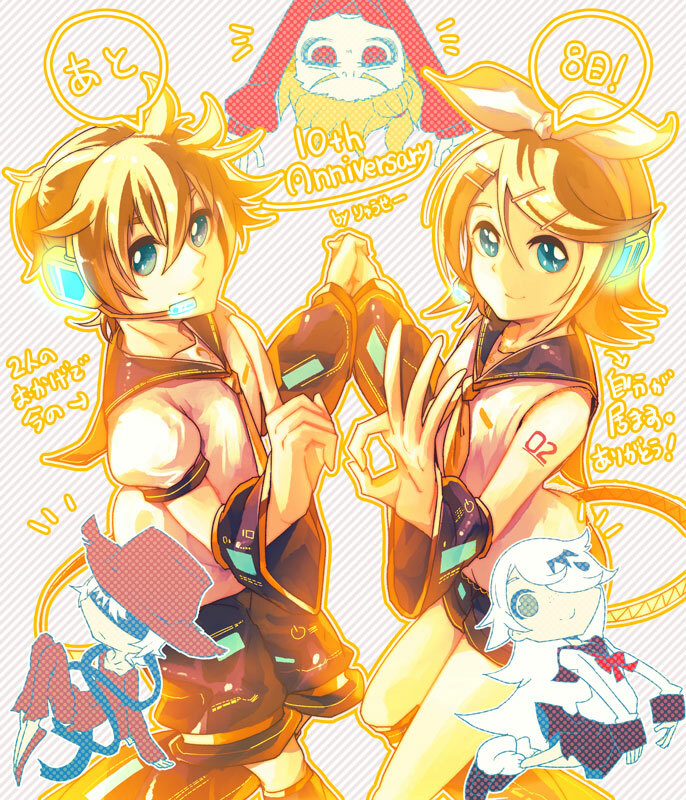 And last but not least, there is the fan art countdown to the 10th anniversary with one fan art added each day. 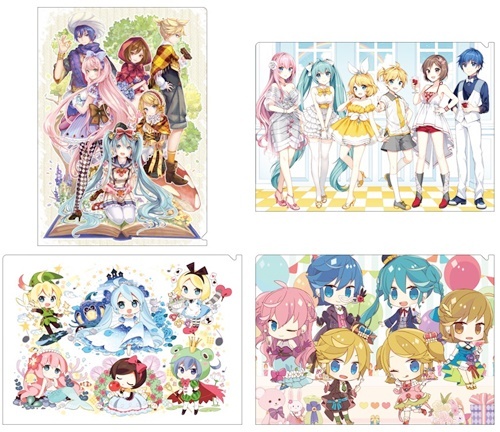 Here are even more illustrations that have been added since our previous article! 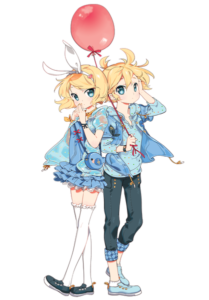 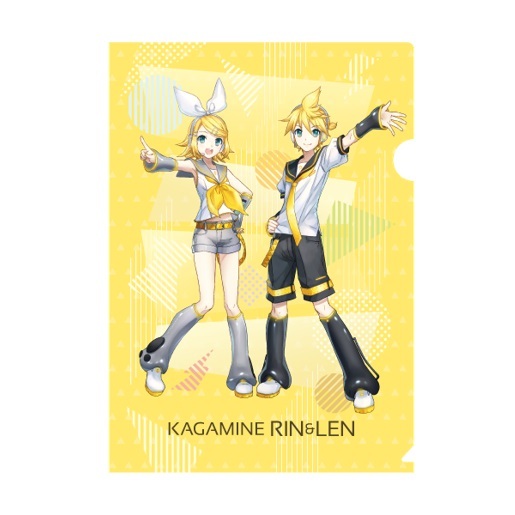 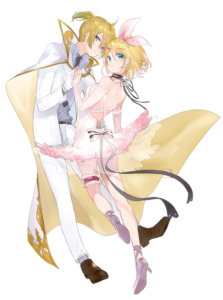 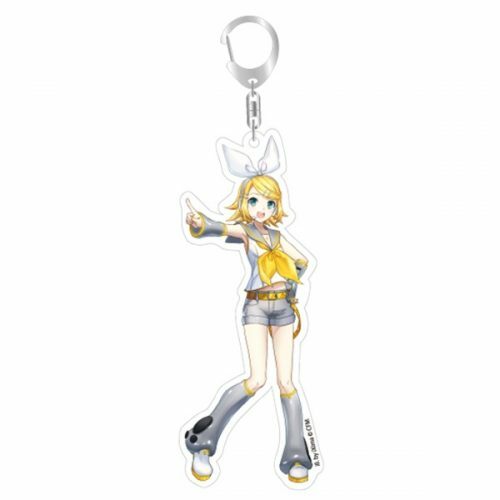 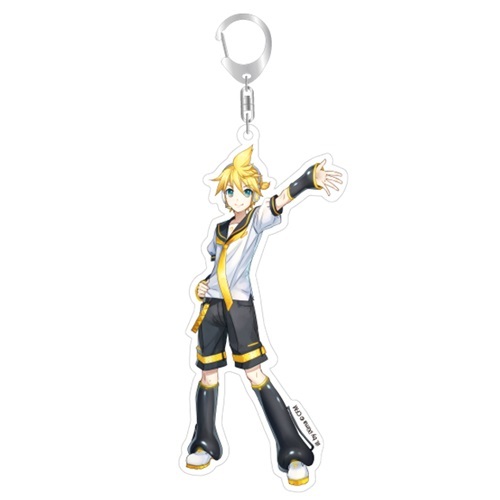 Remember that you can visit the Kagamine Rin & Len 10th Anniversary site to find these and even more fan art and other content for the VOCALOID pair! 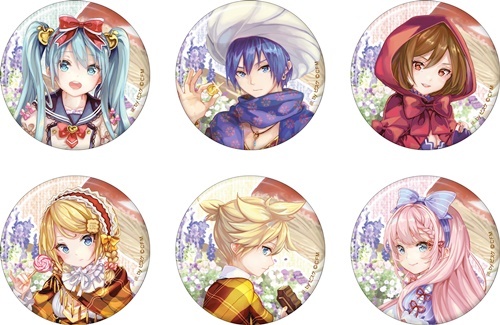 Next IA Live In Spain And New HACHIMAKI Shop Open in Europe!